Hasn't it been a while since I've done one of these. Once again, linking up with Natasha and the other lovely ladies for 5 on Friday. 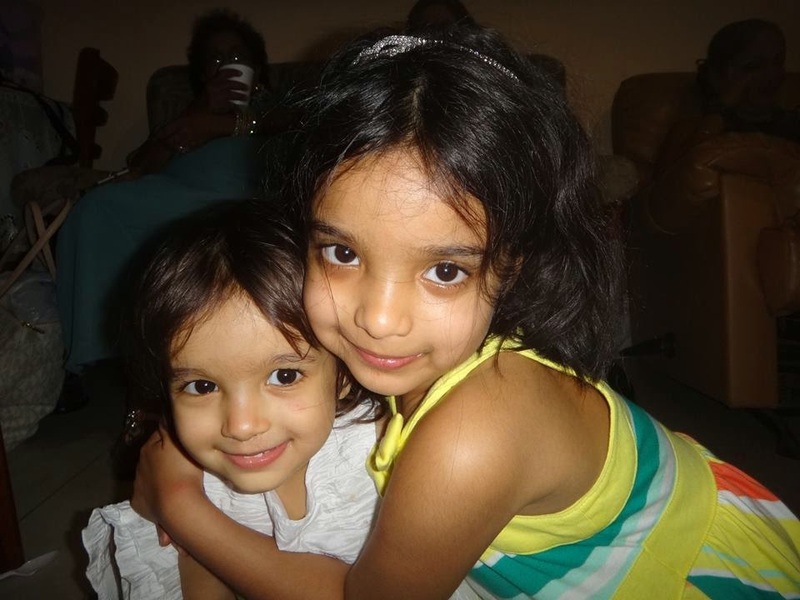 1- The other night, Anjali jumped out of her crib. Seriously, she was in her crib and then we heard her at the top of the stairs saying 'Sarita, where are you?' or rather 'Seeta, are you?'. She hasn't done it since so we are pretending it didn't happen while at the same time on the hunt for a bunk bed. This is the lady going a lil crazy in the mall. Luckily it was quiet! 2- I may or may not be gardening. 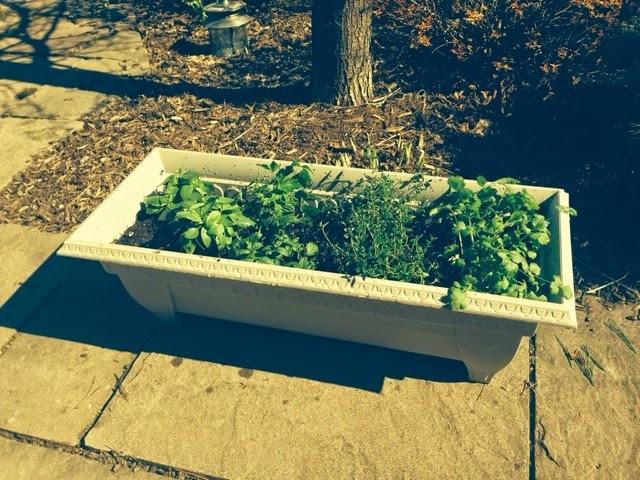 I'm trying to encourage my green thumb these days.... with the help of my mother-in-law, I created this lovely herb trough and we've been doing some major work cleaning up the back yard. It's Day #5 and the plant is still alive--- good sign, right? Folks, I've killed lucky bamboo, it is a good sign! 3- I made these amazing nectarine muffins yesterday and they're nearly all gone already. As usual, I subbed wheat for white, cut the sugar, added cinnamon, nutmeg and vanilla and put some nuts in. This is one of my favourite muffin recipes for the summer months. 4- All of the weekly extra curricular activities are wrapping up and the summer ones are starting. 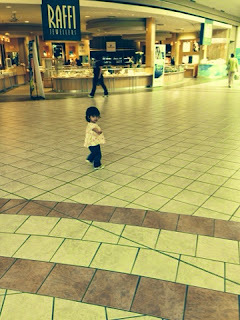 Cassia's doing violin and soccer for the summer though I still need to check into some gymnastics. We say goodbye this month to ballet and Kindermusik though--- at least for the school year. 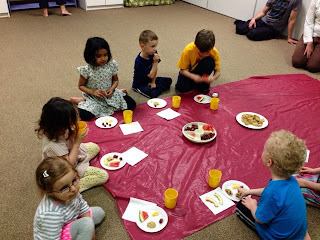 Kindermusik does this really cute picnic on the last day of class. Cassia ate like 6 cookies before I saw. And Anjali had 5 pieces of watermelon. 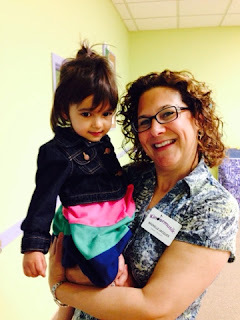 Here she is with her teacher, the amazing Michelle-- or Miss Michelle as my girls call her. 5- In Canada, we have a long weekend. Nothing too much planned, a trip to the botanical lessons, drinks with friends, dinner with friends and lots of family time.